All cooperatives are formed under seven cooperative principles in addition to voluntary and open membership, cooperatives all have democratic member control. Cooperative members, elect members to represent you on the board of directors of United Cooperative. Front row, left to right: Greg Tauchen, Bonduel; Rod Leiterman, Denmark; Howard Bohl, Beaver Dam, chairman; Gary Nolden, Prairie du Sac, vice chairman; Larry Plamann, Greenville. 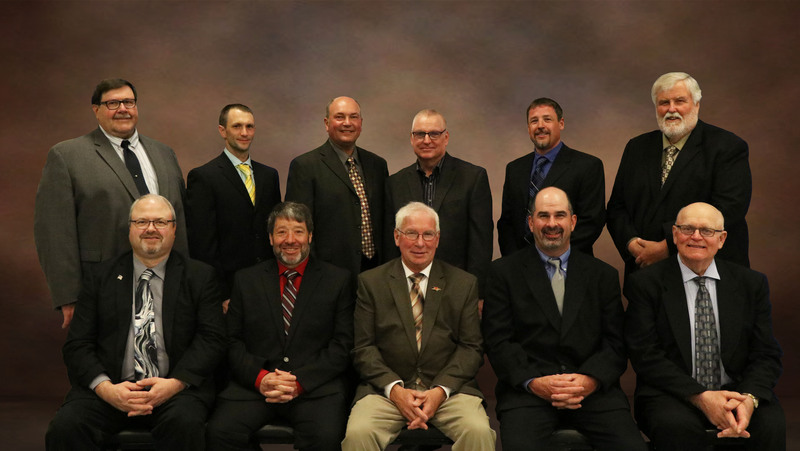 Back Row, left to right: David Cramer, Beaver Dam; treasurer; Peter Mlsna, Hillsboro; Duane Hinchley, Cambridge; Anthony Schadt, Watertown; Brad Krueger, Shawano; Robin Craker, Reedsburg, secretary.